Obituary for Donna Joyce Kindhart | Hunter Funeral Home, Inc.
Donna Joyce Kindhart, 78, of Ursa passed away on Sunday, September 30, 2018 in her home. Donna was born on February 25, 1940 in Steffenville, Missouri to the late Raymond and Frankie Irene (Byers) Walter. She married Earl W. Kindhart on January 12, 1957 in Golden. Earl survives of Ursa. Donna had worked at Motorola and then art craft in Quincy before earning her nursing degree and going to work for North Adams Home in Mendon as a Registered Nurse. She was a member of St. Paul United Church of Christ in Fowler and a lifetime member of the AmVets. 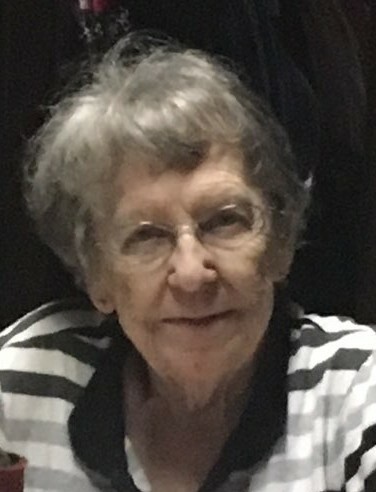 She was a past president of the P.T.A and coached little league for several years.She enjoyed bowling, camping, reading and was an avid St. Louis Cardinals, Dallas Cowboys and N.A.S.C.A.R. fan. In addition to Earl, Donna is survived by three sons, Jeff (Coleen) Kindhart of Quincy, Rob (Beth) Kindhart of Quincy, Tim Kindhart of Augusta; a daughter-in – law, Nicole Kindhart, A special friend of the family, treated as a son, Michael Arnold; twenty four grandchildren, twenty two great-grandchildren, four great-great-grandchildren; one brother, Ronald Walter of Hannibal and several nieces and nephews. She was preceded in death by; one son, Lon Kindhart, one granddaughter, Shannon Ahern, one daughter-in-law, Janis Kindhart one brother in infancy, Thomas Walter; one niece, Raylee Walter and one nephew, Bradley Duane Kindhart.